Prime Minister Justin Trudeau will interrupt his nine-day foreign trip to return to Ottawa to meet with B.C. Premier John Horgan and Alberta Premier Rachel Notley to try to end the deadlock over the Trans Mountain pipeline expansion. Prime Minister Justin Trudeau will interrupt his nine-day foreign trip to return to Ottawa to meet with B.C. 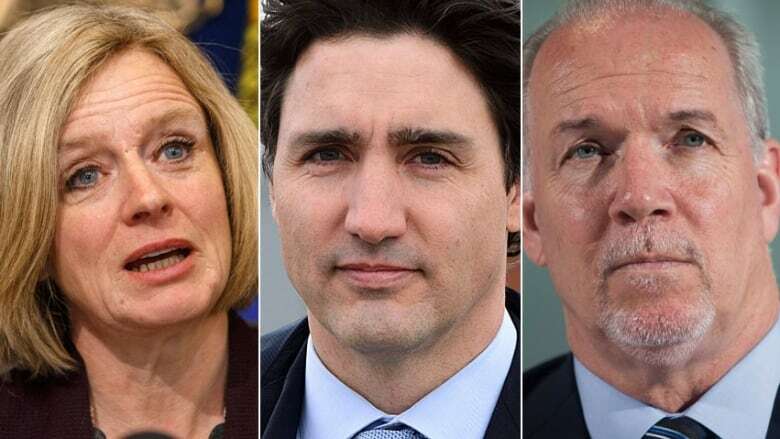 Premier John Horgan and Alberta Premier Rachel Notley on Sunday to try to end the deadlock over the Trans Mountain pipeline expansion. Trudeau will travel to Ottawa from Lima, Peru, then travel on to Paris. The PMO said the precise time of the Sunday morning meeting with the premiers had not yet been settled, but it is not expected to alter the European leg of the trip. The itinerary change was announced just minutes before the prime minister's plane departed for Peru, where he is joining more than 30 world leaders for the Summit of Americas. Horgan tweeted about the meeting shortly after. I will be meeting with Prime Minister <a href="https://twitter.com/JustinTrudeau?ref_src=twsrc%5Etfw">@JustinTrudeau</a> and Premier <a href="https://twitter.com/RachelNotley?ref_src=twsrc%5Etfw">@RachelNotley</a> this coming Sunday in Ottawa. I'll be there to represent BC, our coast and economy. Tensions over the Trans Mountain expansion have been building since Kinder Morgan suspended all non-essential spending on the project on Sunday. The company has given the federal government until May 31 to deliver concrete assurances that the expanded line will get built. That prompted Trudeau to call an emergency cabinet meeting in Ottawa Monday. Ministers emerged from that meeting disclosing no concrete solutions to the standoff. Finance Minister Bill Morneau met with Notley in Toronto early Wednesday evening. Notley said she left the meeting feeling "more convinced" that Ottawa will soon take action, but did not say what options were on the table. "I will say that he did assure me the Canadian government plans to take swift action on this file," she said on a conference call after the meeting. By Thursday, however, Notley was casting cold water on any suggestion that Alberta would be willing to give an inch on Trans Mountain. "There is one and only one solution, and that solution is that the pipeline gets built without delay," Notley said in Edmonton. The premier also stood by her threat to introduce legislation that would allow her to curtail oil shipments to B.C., among other retaliatory measures — a move that surely would cause a spike in gas prices west of the Rockies. Horgan, for his part, expressed relief Ottawa hadn't clawed back any federal funding from his province, but stood by his vow to seek guidance from the courts on whether B.C. has the power to restrict bitumen flow through the pipeline. nothing to stand down from. We are in court, we're going to stay in court. We're putting forward a reference. I welcome Alberta and Canada to join us." Today, Morneau said the government will have a consistent message for the premiers going forward. "We are resolved to move forward on this project. We have the federal tools to do that. We will be, of course, discussing how do do that with the project proponent," he said during a Public Policy Forum event in Toronto. "Those discussions are already underway. I don't have the opportunity to give you more details because we do need to get through those discussions to find the right approach to ensuring that this is delivered on behalf of Canadians." Trudeau's meeting comes amid mounting pressure from Canada's business community to break the deadlock and get the pipeline built. Influential businessman Dominic Barton, who also chairs the federal government's economic advisory council, said job-generating infrastructure projects take too long to get built in Canada and the government must find a way to expedite the process. The Business Council of Canada issued a statement that said chronic delays are now threatening to kill the project, "denying Canadians the opportunity to get full value for their energy resources in international markets." That would deprive governments of funding for a wide range of public services and cast "serious doubt" on Canada's reputation as a safe place to invest and a jurisdiction where the rule of law prevails, the statement read. Business leaders in B.C. also held a joint news conference urging a quick resolution to a standoff they say amounts to a "crisis of confidence" in Canada. After meeting with the premiers, Trudeau is now scheduled to travel to Paris for his first official visit to France and a meeting with French President Emmanuel Macron. He will also address the French National Assembly and attend several speaking engagements. He is scheduled to then travel to London, where he is to meet the Queen and British Prime Minister Theresa May before attending the Commonwealth heads of government meeting. Trudeau's meeting with Notley and Horgan had all the earmarks of a last-minute arrangement. 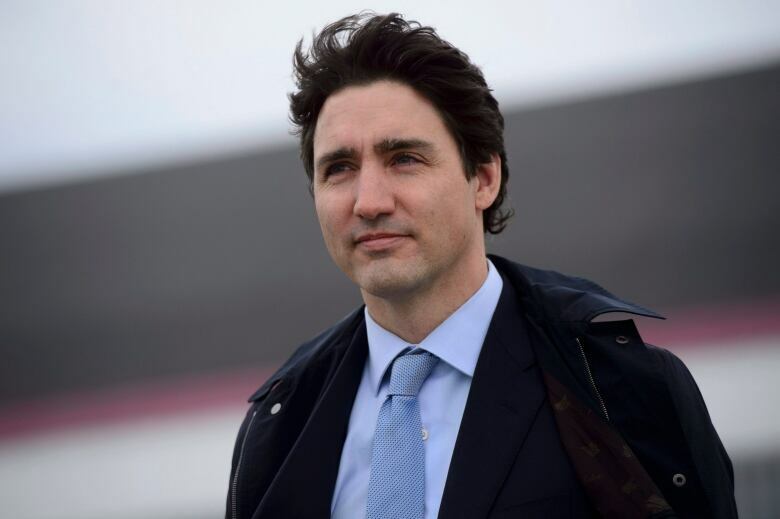 Trudeau's Airbus 310 had already pulled away from the ramp and was taxiing to the runway on its way to Peru today when two members of his staff announced that he would be altering his itinerary. As the plane went up and the bars on their cellphones went down, journalists barely had time to send a few lines to their editors by email before eight hours of enforced electronic silence en route to Lima. The prime minister's original plan had been to take off immediately after the conclusion of the summit in Lima late Saturday night to fly to Paris, sleeping on the way. Because the Airbus 310 doesn't have the range to fly direct from Lima to Paris, it would have made a refuelling stop in the Azores early Sunday afternoon. Trudeau would then arrive Sunday night in Paris, and be fresh for his meeting with Macron the following day. Instead, Trudeau will depart Lima direct for Ottawa on Saturday night, arriving about eight hours later at Hangar 11. He could be at his office on the Hill by around 8 o'clock Sunday morning. Trudeau will then have to head back to the airport, re-board his plane and fly direct to Paris, a journey of about seven hours. For the Canadian delegation, the changed itinerary probably will mean a second consecutive night of sleeping on the plane. The Airbus 310 is not fitted with a stateroom, but does have a small closet-like space where crew members sometimes place an inflatable mattress. Staff sleep in their seats or on the floor space between rows. The plane is fitted with a small shower stall. Trudeau is not accompanied by any family members on this trip. What's at stake if B.C. opposition derails the Kinder Morgan Trans Mountain pipeline?